The ill-fated "Arctic Sea" repeatedly suffered problems with its diesel engine which broke down several times. The ship on July 23, 2010, entered the port of Hamilton, Ontario-Lake, for repairs. The ship actually is used for feeder service between Halifax, Montreal, Lake Ontario and other Canadian and American ports. The "Arctic Sea" departed from Valletta, Malta on Apr 21, 2010, after having been sold to the Canadian Great Lakes Feeder Lines. 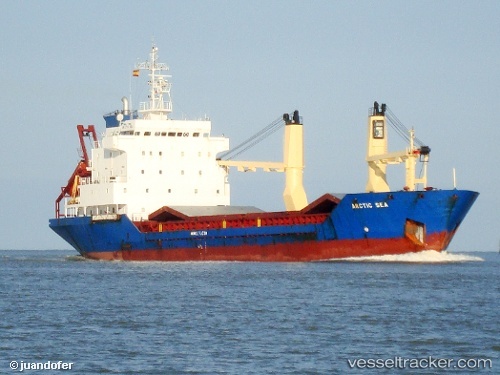 The ship had been hijacked in the Baltic Sea in July 2009 what was only remarked after it failed to reach Bejaia on Aug 2 coming from Pieatersaari with lumber. On Aug 17 it was freed from hijackers by the Russian navy and towed to Noworossisjk, while, however, the role of the crew remained mysterious. On Oct 31, 2009, the ship berthed at Valletta.